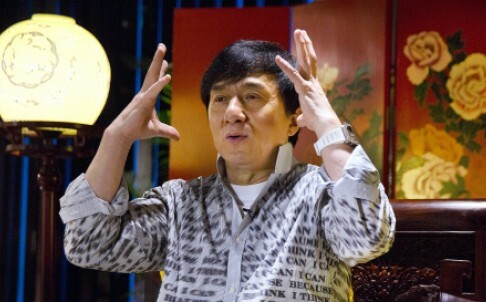 Jackie Chan has led a stunning charge by Asian performers into the ranks of the world’s best-paid male actors, according to Forbes magazine’s annual rankings. Chan, who was said to have made US$50 million (HK$387 million) in the past year, is now the second highest-paid actor in the world, according to the Forbes list, behind only Robert Downey Jnr. Three other Asian stars – all Bollywood actors – also pushed into the top 10. It was the first time that Forbes had included actors working outside Hollywood in its list. Amitabh Bachchan, Salman Khan and Akshay Kumar all finished ahead of established American actors such as Mark Wahlberg, Leonardo DiCaprio and Johnny Depp. Downey Jr topped the list for the third year in a row. The Iron Man and Avengers star made an estimated US$80 million over the past 12 months, beating out fellow Hollywood behemoths such as Vin Diesel, Bradley Cooper and Tom Cruise. The surprise results came after the financial magazine featured actors from international film industry meccas beyond the Hollywood bubble for the first time ever. The prominence of Asian actors comes as something of a shock because Chinese and Indian movies rarely feature on annual lists of the highest-grossing films across the globe. The most successful Bollywood film of all time, last year’s PK, made just US$120 million globally, while the highest-grossing Chinese film, this year’s Monster Hunt, boasts a US$290 million take. Hollywood’s best effort, 2009’s Avatar, scored a staggering US$2.78 billion. Downey Jr’s US$80 million earnings are thanks largely to a lucrative profit-share deal from the US$1.39 billion success of superhero epic Avengers: Age of Ultron. Hong Kong-based Chan, 61, is popular in the west but an unmatched star in much of east Asia. He made his US$50 million from highly profitable franchises such as the upcoming historical action movie Dragon Blade, as well as merchandise tie-ins and a cinema chain which trades under his name. Earnings from June 1, 2014, to June 1, 2015, wre calculated for the rankings. Vin Diesel, star of the Fast & Furious movies, landed in third with earnings of US$47 million during the period recorded by Forbes thanks largely to the box office success of the most recent instalment in the street racing saga. Fuelled by hype surrounding the death of star Paul Walker, Fast & Furious 7 scored US$1.51 billion globally earlier this year. The top five was rounded out by Bradley Cooper, whose roles in box office smashes American Sniper and Guardians of the Galaxy last year helped earn him US$41.5 million, and Adam Sandler US$41 million who is generally considered to be a Hollywood star on the wane following a series of box office bombs but who benefited from a lucrative deal to screen his next four films exclusively on Netflix. Sixth place, with US$40million, went to Tom Cruise, who remains a high earner thanks to the box office success of the Mission: Impossible films, which he also produces. Bachchan, the 72-year-old star of close to 200 Bollywood films, was the joint-top Indian actor on the list at No 7. He and Salman Khan, the controversial 49-year-old Mumbai-based megastar who has retained his popularity despite a recent homicide conviction relating to the drunken killing of a homeless man, both earned US$33.5m. Kumar, the 47-year-old actor and martial artist who has appeared in hundreds of Hindi-language films, made ninth place with earnings of US$32.5 million, just ahead of Transformers star Mark Wahlberg (US$32million). Depp and DiCaprio, who have both topped Forbes’ list in the past, found themselves pushed outside the top 10 into 12th and 13th positions with earnings of US$30 million and US$29 million respectively. The best-renumerated Briton was James Bond star Daniel Craig in 15th, with earnings of US$27 million. A female-only list is promised at an unspecified later date.